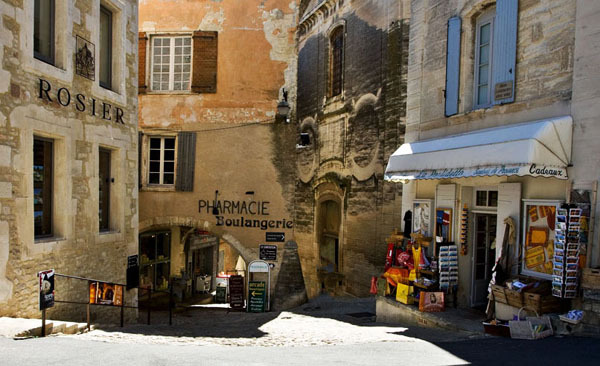 Gordes, in the Luberon area of Provence, is one of the most popular of the officially prettiest villages of France. 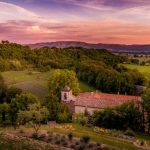 There’s much to fall in love with here but for the full experience you need to climb to the ancient hilltop settlement, lined with buff coloured dry-stone walls. The flat rectangles of rock are like tightly packed, chunky slabs of toast. 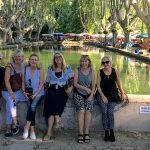 If you come in on the D15 departmental road from Cavaillon, stop by the side of the road below the Bel Air rock for the best photos of the village, and a panoramic view down over the valley of distant green tiles – the Parc Naturel Régional du Luberon. From this angle, the village looks like the human version of a mud wasp nest with little modules, arranged side by side and layered up the hillside. Its spectacular position, outlook and charm have earned the village a position of privilege and high real estate prices. 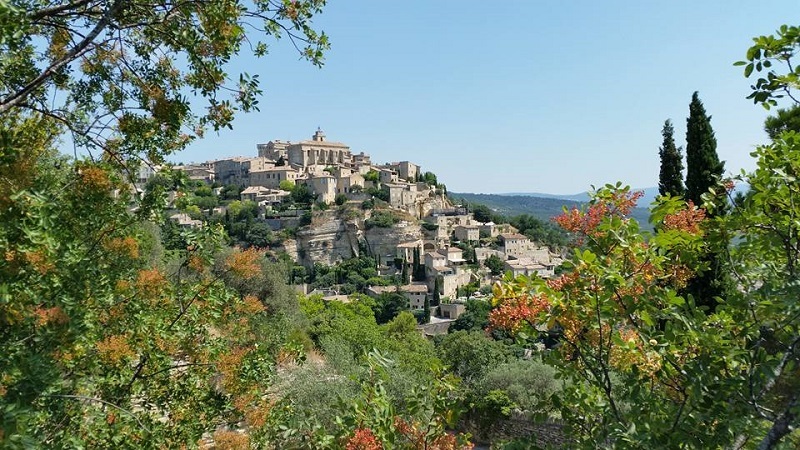 Gordes has become the getaway of the wealthy. But it hasn’t always been so chic. 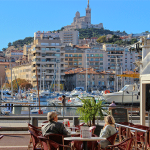 The site has been occupied since prehistoric times and there’s a medieval castle at the summit, which served as a fortress from the 10th century. The town was built to protect its inhabitants. The labyrinth of buildings made from stone the colour of pale whipped honey and topped with terracotta tiles – twists and turns through the village. Even the dividing fences are made from stone. That’s the rule. 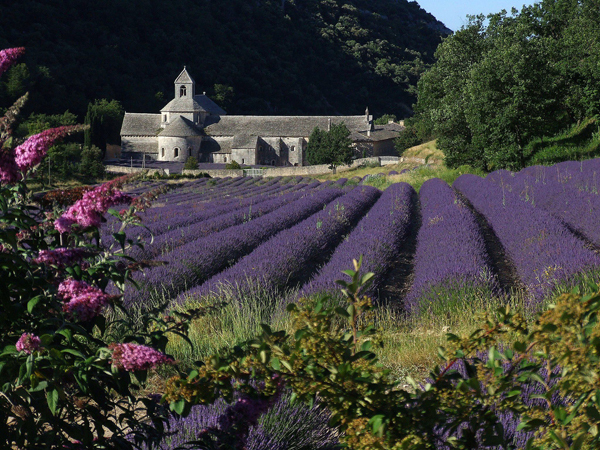 Several superstars of French painting have sought solace and inspiration in the cradle of this stunning valley. Renoir, Picasso, Matisse and Van Gogh all put brush to canvas here in Gordes. The imposing chateau dominating the village dates from the 10th century and was remodelled during the Renaissance. 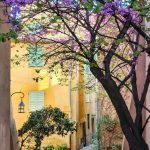 You can visit it and the museum that it houses, the Pol Mara museum, contemporary Flemish painter and inhabitant of Gordes. 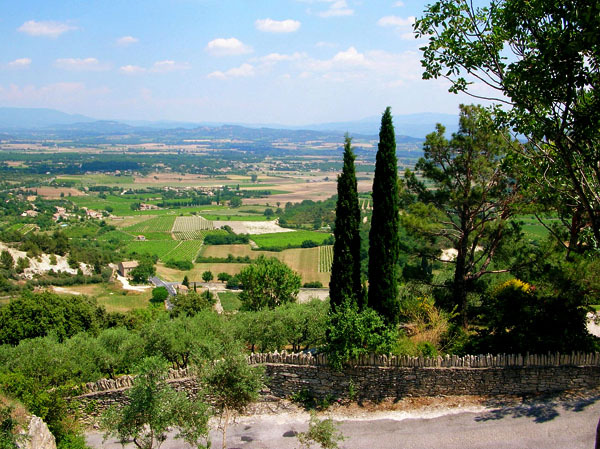 Just wander and enjoy the sights that Gordes offers, winding roads, magnificent views of the surrounding countryside of the Luberon. The stony Bories Village, where all the buildings are constructed entirely of dry stone walls, is just a few kilometres away from Gordes, in Provence. The Moulin des Bouillons is a former olive oil mill, very well preserved. The cellars of the Saint Firmin Palace. Discover the troglodyte water mills in the Gorges of Véroncle. Weekly market on Tuesday morning. Almond tree festival (beginning of March). Festival “Les Soirees d’été de Gordes” (beginning of August) : Theatre, Music and Dance. Wine festival (beginning of August). Village Fete (beginning of October).